In collaboration with: Paul Xiaopu Wang, Hauxia Wu and Yiran Hu. Course: Urban Design Studio II, Columbia University. 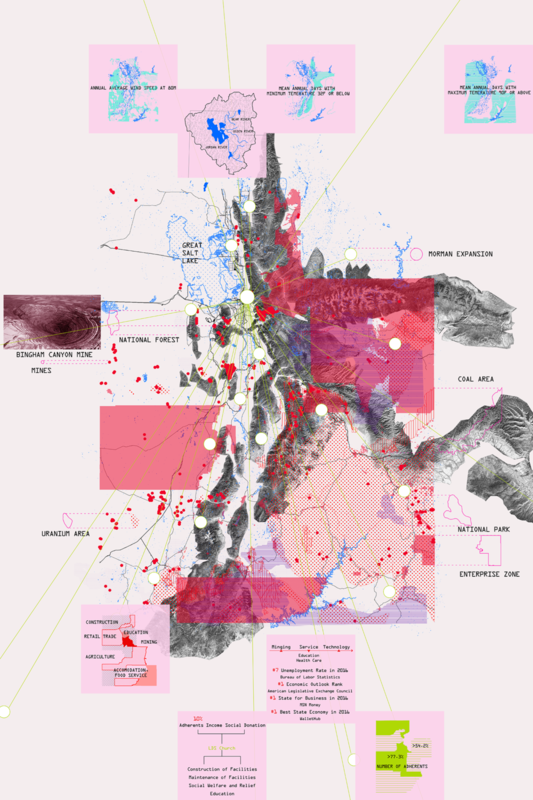 This project investigated the question "What is a region?" 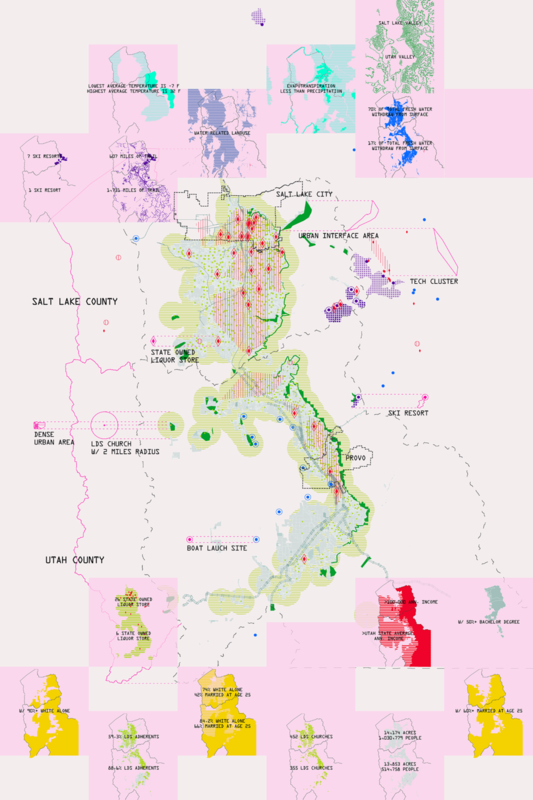 by analyzing the city in a multi scalar form tackling the regional Western United States, the State of Utah, the metropolitan scale as well as the cities of Salt Lake and Provo. 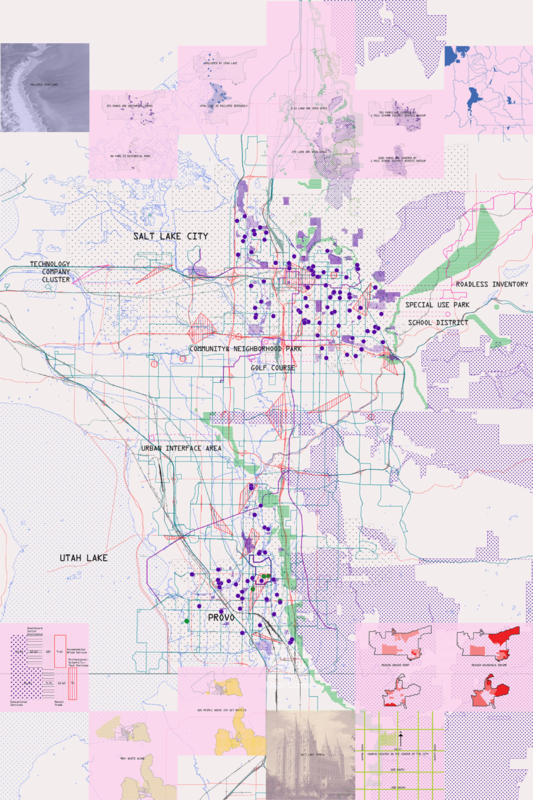 Also, the analysis tackled a vast time scale from prehistoric events that contributed to the area's unique landscapes, to religious migration that altered the future of the city as the seat of the Mormon Church, to questions of the future of the shrinking salt lake and the changing social structure.